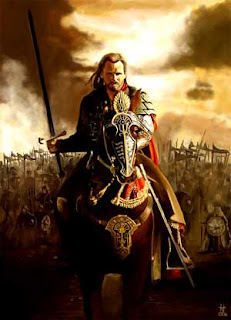 MAGICK RIVER: Do you know what it means to be "royal"? It's obvious that the feudal era is long past its sell-by date. Only a benighted handful continue to believe in the divine right of kings to behave as they will - regardless of the rights and wrongs of their actions and how their misbehavior ultimately burdens the citizens and increases the level of darkness and disease in the realm. 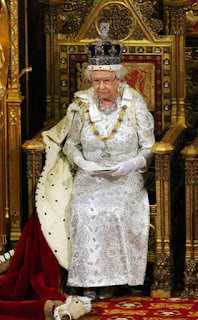 Small but powerful cabals of politically connected players have learnt how to get hereditary monarchs to do their bidding and in so doing, have effectively tainted and corrupted what might once have been a revered and dignified institution. In the case of Malaysia, bureaucrats and politicians gleefully imitate the indulgent lifestyles and extravagant habits of their own tribal chiefs and ceremonial rulers, surreptitiously misappropriating the sultans' traditional power and status. Chinese pictographs are sophisticated symbols with multidimensional meanings. Take the pictogram for wang or king (left): three horizontal strokes connected by a single vertical stroke. The bottom line depicts ti, the earth; the middle line is ren, humanity; and the topmost line is tien, heaven. The single vertical axis serves as a pillar that separates heaven from earth while holding them together and uniting them, in order that humanity may flourish. Therein lies the essential meaning of kingship. If the axis is bent or infirm, heaven and earth will be out of alignment and the kingdom will collapse in disarray. 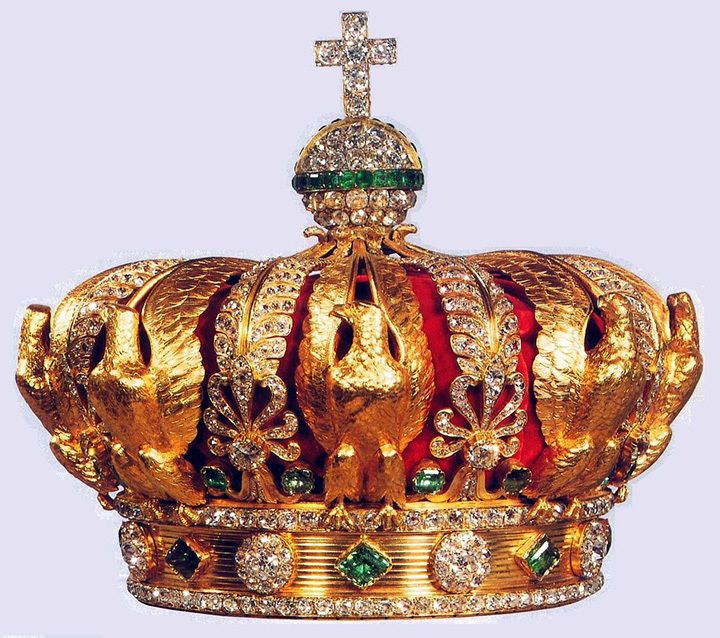 Most traditional monarchies have long been disconnected from their mystical and spiritual origins - either through excessive inbreeding, inauspicious crossbreeding, or through usurpation of the ancient quasi-divine Anunnaki bloodlines by atavistic terrestrial modified primates, infected with mind viruses that fuel their petty ego drives and turn them increasingly cruel and ruthless. In the last few thousand years of imperialistic wars, brutal massacres and general mayhem, most of the authentic bearers of the original "golden thread" prime genetic (characterized by its high content of monoatomic gold, the elixir of longevity and immortality) have gone underground or mixed genes with the plebeians. But in the modern era, a new form of meritocratic aristocracy has arisen from the ashes of the debauched and decadent royal bloodlines of antiquity. You will often find them in the ranks of movie stars, pop kings and queens, rock gods, best-selling authors, box-office filmmakers, weavers of fantastic dreams - outstanding individuals blessed with charisma and artistic talent, or endowed with inventive genius. 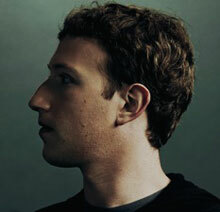 Watching Facebook CEO Mark Zuckerberg on a live feed recently, I was struck by his resemblance to a young Roman emperor. Turning 33 this May, Zuckerberg exudes the confidence of a man twice his age - and who wouldn't be self-assured with an estimated net worth of nearly $64 billion? 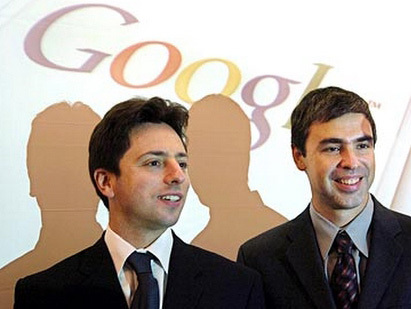 Google founders Larry Page and Sergey Brin, who gave the world a more efficient search engine, thereby facilitating easy access to information via the internet, come close to being as cash-rich as Zuckerberg. But they chose to dilute their personal stakes in the colossal corporation that grew out of their Stanford University dorm rooms, allowing sinister deep-state players convenient access to the massive databanks that constitute Google's primary resource. These youthful overachievers of the digital age may have no armies at their command - but they don't need them to wield enormous clout over the fate of the planet. Like Elon Musk who gave us PayPal, their visionary entrepreneurial skills have redefined what it means to be royalty in the 21st century. Far more intelligent and street-savvy than all the monarchs of past ages put together, today's movers and shakers now find themselves in an unprecedented position to influence geopolitical trends. Given full authority to redesign and restructure the human-nature interface on a planetary scale, it's not impossible that they will embrace technology-assisted utopian ideals, and facilitate a quantum shift towards the realization of heaven on earth. Unfortunately, the old guard stands in the way of rapid, radical change. The traditional keepers of the keys to earthly power, the warlords and usurers, are not quite ready to experience a monumental change of consciousness - and heart. They have yet to grasp the newfangled transformative idea of pronoia, which free-will astrologer-musician and poet Rob Brezsny has popularized as the antidote to paranoia. A pronoid human sees all of reality as a playground as well as a schoolhouse, set up to encourage and support our physical, mental and spiritual growth. The pronoid human experiences the entire universe as a benign conspiracy - a holographic construct that ultimately serves our own greatest good. Why so? Because each of us is a fractal of the whole, of the Unified Field of Consciousness, of All That Is (and Isn't). Which makes us all divine humans, diabolical streak and all, entirely deserving of complete fulfillment, boundless joy, vitality, even immortality, should we so desire and deserve it. In short, the only authentic royalty is the sovereignty you reclaim for yourself, in the light of this initiation, when you awaken from your cultural trance and embrace your own eternal glory, power and kingdom (or queendom, if you happen to be a Freddie Mercury clone). I found your commentary on the symbolism of Chinese pictographs very interesting. Thank you for sharing. I think its due time for people to shake off the Mikado ("heavenly sovereign") mentality and this requires them to be more self-confident, to will and dare to think and engage with higher authorities on fair terms rather than letting themselves be dragged around by the nose. Doesn't this give the phrase 'being royally screwed' a whole new meaning?